Timberwood Park is part of the area that ESD 3 currently serves for our fire and emergency services. The annual meeting for Bexar Bulverde Volunteer Fire Department ESD 3, which I attended, was held May 29, 2015. At this meeting there was general discussion which included the districts annual operating budget, the potential annexation of many of the developments which surround Timberwood and a large portion of what is the current ESD 3, the fact that Timberwood is non-annexed and will remain in ESD 3 regardless of the other neighborhoods which may be migrated into City of San Antonio jurisdiction because of it’s successful completion of a non-annexation agreement, and an election was held for the 2 positions on the board of directors which were eligible to be filled. What’s important for everyone to pay attention to in Timberwood is that regardless of what the City ultimately decides to do with the annexation of the surrounding developments, we will remain in ESD 3 and will need to ensure we have adequate, timely coverage for our neighborhood in emergency services. Existing fire stations for our district are: #1 on Borgfeld Road, and #2 on Bulverde Road next to Johnson High School. A third station is proposed somewhere near the Canyon Golf and Overlook Parkway area but has not yet broken ground. Discussion at this meeting indicated that the intent is to begin construction on the new facility (station #3) in the near future with land already in place. Again, of importance here is that Timberwood residents remain vocal in their desire ensure we have adequate and timely response times in emergency situations for our neighborhood even if there is a shift in what ESD 3 covers because of annexation…i.e. will the annexation negate any of the station(s) proposed to be built, or could annexation allow for a station which has been built in ESD 3 to be turned over to City rather than stay with ESD 3? Should we be asking about the potential remodel/upgrade of Station #1 given it’s age and condition to ensure we have close adequate coverage for our property owners regardless of the outcome of the annexation talks? There was a $3.1 million budget for 2014 in place thanks to voter approval of a tax increase which gave the district a much larger operating budget than the 2013 $349,000.00 budget. The TPC area is the only other area in ESD 3 that is guaranteed to be spared by annexation since it also has a non-annexation agreement in place covering the hotel and surrounding properties. It makes sense for Station #2 to be in place to protect that area in a timely manner, but it also makes sense for some improvements to be occurring in our existing Station #1 to better serve our needs and the needs of the firefighters and EMS who house themselves in that station. Should something happen that precludes Station #3 from being completed, or it doesn’t stay with ESD #3 if annexation of the area happens, Timberwood needs a station that has up to date technology and equipment as well as up to date facilities to house our firefighters and EMS personnel properly. 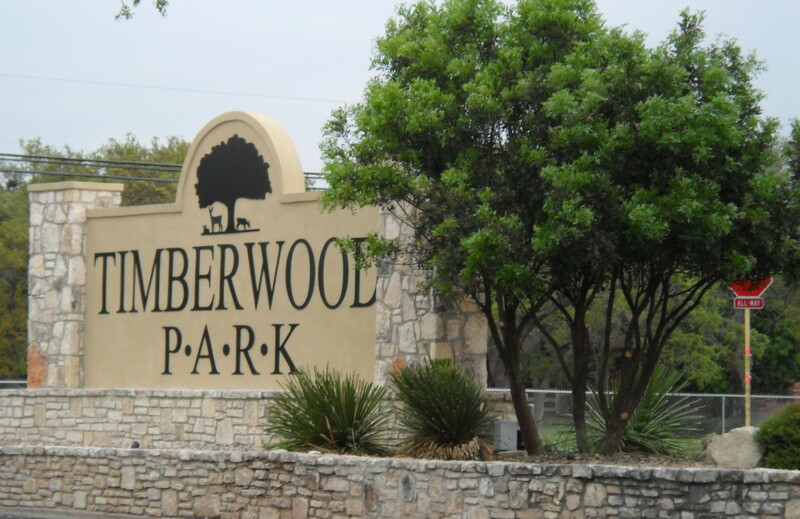 Timberwood Park is provided law enforcement coverage by the Constables of Precinct 3. We also have coverage through the Bexar County Sheriff’s Office. The Constables provide the same law enforcement services as the Sheriff’s office and are able to do anything from traffic control, to vacation checks on your home, to traffic stops and citations, to serving warrants and other related services. I was recently appointed to serve as a Constable’s Commissioner for Precinct 3. As a Commissioner, I will be serving on an advisory committee to the Constables of Precinct 3 to help provide feedback to and from our neighborhood and surrounding community. If you have a suggestion, comment, complaint, concern or compliment regarding services you would like to see provided, how services can be provided more effectively for our neighborhood, or if you have a suggestion you’d like passed along to the office, please let me know. The goal of this Advisory Committee is to provide a public set of “everyday” eyes and ears to assist the Constable in aiding our community to the best of it’s ability. This is a new committee, and we are just getting started but I look forward to the opportunity to serve in this volunteer position on behalf of our neighborhood and Precinct 3. You can find the Constables contact numbers on the “Who To Call for…” tab of this web page www.timberwoodparksa.org . The June meeting for the TPOA was held Tuesday, June 2, 2015. Topics of discussion included citizens to be heard, treasurer report, status of fish being brought back into the lake, restrooms around the lake progress, a lawsuit settlement, events and activities updates, Borgfeld Road update, Blanco Road light at Slumber Pass update, and the bond election results. Under Citizens to be Heard there were several property owners who discussed a wide array of matters included the drainage ditches in Timberwood, easements and who is responsible for which easements maintenance in the neighborhood, issues with pool passes, brush dumping into easements, etc. Neighborhood Watch discussion included some tips to protect your home and a request for more block captains to sign up with the new Chairs of the committee. An update of the Borgfeld Road Phase I construction made note of the weather and the delay it has caused in completion of Phase I. Board members stated the belief it will now be late summer before the project is complete. The stop light for Blanco/Slumber Pass has been delayed but is funded and currently out for bid. Look for that construction to be somewhere in August or thereafter at the earliest. There was brief discussion about a lawsuit which was settled recently in favor of the HOA. The bond election results were that the revised bond passed. According to the discussion at the meeting, another bond will be up for consideration and vote in 2017 to cover a potential site for a high school for our area of the district. The current bond will cover the construction of the middle school in the Kinder Ranch subdivision area that should be completed by 2017. The treasurers report gave an overview of our accounts, outstanding unpaid assessments and collections in process. There was an update on the restroom project slated for the back side of the lake and while construction has begun it will be 3-4 months before it is complete. Social events report was given which included Music In The Park scheduled June 12, 19 and 26 – which is also the Picnic In the Park event this year. A change was made to schedule Picnic in the Park prior to the 4th of July this year because there had been some discussion about many being unable to attend because they are out of town over the 4th. The change this year was to see if it made a difference in the attendance or not. The HOA is in the process of restocking the lake and in the near future 400 4-6″ large mouth bass will be added to the ecosystem of the lake. Next meeting will occur in August. I hope you all enjoy your summer and as news warrants I will continue to post updates to this blog! Sara Dixon on CLUBHOUSE STALLS INDEFINITELY? Linda on CLUBHOUSE STALLS INDEFINITELY? timberwoodparksa on CLUBHOUSE STALLS INDEFINITELY? Sharon Femia on CLUBHOUSE STALLS INDEFINITELY? CLUBHOUSE DETAILS….TO DO WHAT’S BEST INTEREST FOR PROPERTY OWNERS LET’S PRESS PAUSE BEFORE IT’S TOO LATE! REMEMBER TO VOTE FOR ELECTIONS OF BOARD MEMBERS FOR THE HOA!! REMINDER: 1st EVER MEET THE CANDIDATES FORUM ON OCTOBER 30, 2018 AT THE CLUBHOUSE! !